I'm going to start right out here by stating that I am not a musician. 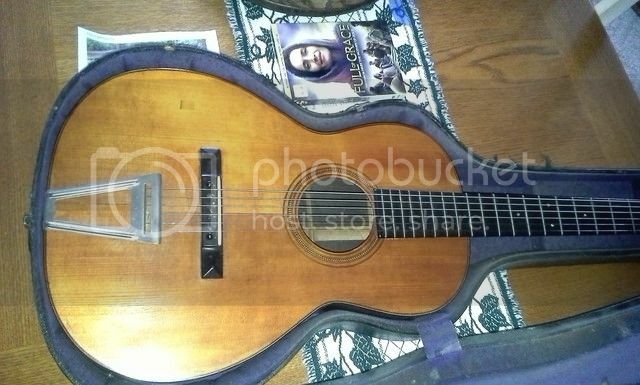 This guitar belonged to my late Father-in-Law. My mother-in-Law is considering selling it. 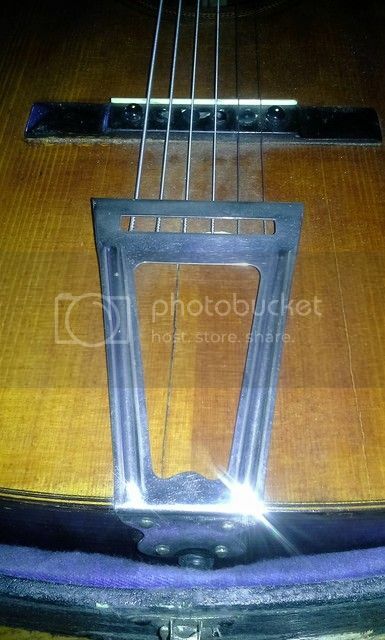 It has been slightly modified to use steel strings and I know that is certainly going to affect the value of it. The bridge on the back is not original. There are no cracks in the neck nor does it appear to be warped. The strings were let down while it was stored. The modifications were done sometime before 1957 when my father-in-Law got it. It has been stored away in its case for about 40 years. What I'm looking for is someone who can give me an honest idea of what it is worth and also, would it be worthwhile to restore it first then sell it. The guitar is beautiful, I apologize for the crappy cell phone pics. If anyone can help me out it would be much appreciated. I am in Ransomville in northern Niagara county but am willing to travel to show the guitar. Thanks in advance. Try calling Mark Monaco. 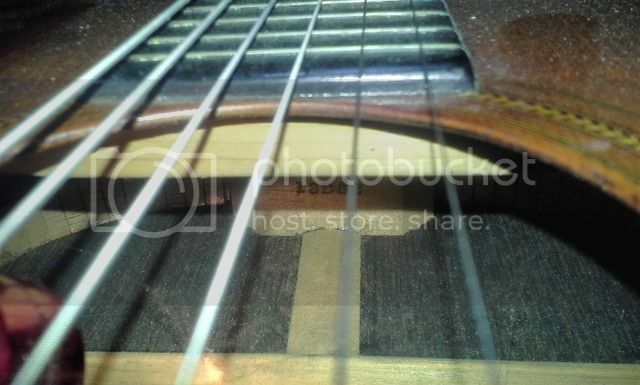 They repair/restore any stringed instrument. Thanks for the info, I will give him a call.